"I wanted to! And I liked it!" “Kapiushon” is another excellent episode of Arrow in what is rapidly becoming one of the show’s best seasons to date. 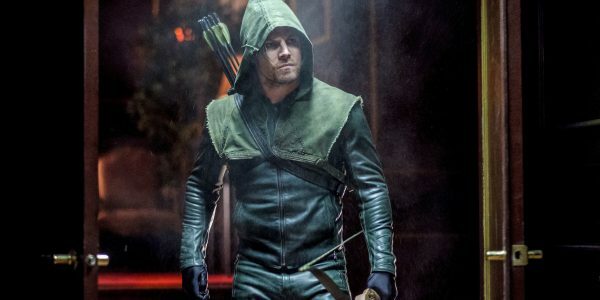 Each year we’re treated to an episode primarily focused on the flashback storyline of the season, and each year that episode manages to provide a stellar look at Oliver’s past and how it relates to the present. This week’s episode doesn’t stray from that tradition. Before we can dive into the the flashbacks, we have to talk about what happened in the present and why the flashbacks were so integral to the current-day plot. Throughout the course of the series, Oliver has struggled with whether or not he can continue his crusade by killing. He’s been flipping the killing switch on and off for a while now, so when the season started with Oliver returning to his less forgiving means of cleaning up the city, it was only a matter of time before we, the audience, expected to see him flip that switch back. As Adrian continued to torture Oliver both physically and emotionally, trying to force him to admit to a secret he has yet to reveal to anyone, I couldn’t help but assume it would be something we’ve heard about before, maybe with a twist that makes it new. I should have known better than to let my guard down like that when this season has already thrown several curve balls that I never expected. Taking the killing theme and flipping it on its head by having Oliver admit that he secretly wants to kill and even enjoys doing it takes this tried and overused theme and breathes new life into it. It gives us a lot of perspective into Oliver and his past, and it justifies a lot of the motivations of the bad guys this season. That leads right into the flashbacks for this week. Yes, we got story progression with Anatoly moving up in the Bratva, finding out the details of Kovar’s plan, and we even got to see the surprising involvement of Malcolm Merlyn. However, the real highlight of this lengthy look into the past was to show how Arrow is starting to bridge the gap that existed between the Oliver we knew at the start of Season 1 and the Oliver we know from the flashbacks. Anyone who paid attention throughout the episode could have guessed what Oliver’s secret was going to end up being, but the fun of it was realizing what it was through the events going down in Russia. Oliver is very clearly a killer, and his failure to chose another option and his willingness to go a few extra miles when it was definitely not needed shows that he truly did become a monster before returning back home. It’s believable enough to have it make sense with everything that has happened in the show. No, I don’t think Oliver was just saying that to get out of the hands of Adrian. I do think there is truth to it, but what Adrian doesn’t realize is that Oliver still cares deeply for others, and that is still evident in the flashbacks with his care of Taiana’s mother and letting the government officials escape. A lot of interesting developments for the next set of episodes! Performances this week were outstanding with a special spotlight on Stephen Amell as Oliver and Josh Segarra as Adrian Chase. 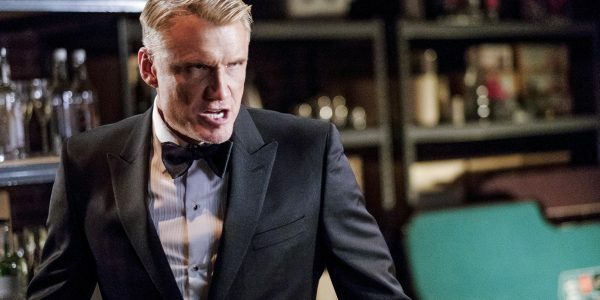 Just a few weeks ago, who would have guessed that Adrian would become one of the most menacing villains to date? The moment he threw off the mask was the moment his character took an immediate plunge into the psychotic darkness that we’ve quickly grown accustomed to. Madison McLaughlin finally makes her return as Evelyn Sharp and her ruse to trick Oliver into admitting his secret took some acting prowess. I’m glad Evelyn didn’t really die, there is still a lot to explore with her character. There was a lot to love in this latest episode of Arrow. It’s hard to believe that at this time last year the big moment of the episode was Felicity destroying a mechanical bee monster with a lamp. We’ve made it this far into the season with very little sign of slowing down. Six more episodes to go! None. This was about as good as the show gets.